Early in the morning of the 7th of September 2013, 1 week before his 72nd birthday, Alexander Rudolf Cools passed away in his home in Nijmegen (the Netherlands), surrounded by his family. Alexander, Lex for those who knew him, was born in The Hague, but studied Biology at the Catholic University Nijmegen (now called Radboud University Nijmegen), where he would remain for the rest of his active life, except for a few short research internships at among others the Max Planck Institute for Psychiatry in Munich, Germany. He often said that he had “Nijmegen’s university blood running through his veins,” as his father was a professor of Geography, and he himself was appointed as professor in 1985. He was, therefore, particularly proud that his daughter Roshan was recently appointed as a professor of Cognitive Neuropsychiatry in Nijmegen. Lex obtained his PhD in 1973 under the supervision of Professor Jacques van Rossum and Jo Vossen with a thesis entitled “The Caudate Nucleus and Neurochemical Control of Behaviour: The Function of Dopamine and Serotonin in the Caput Nuclei Caudati of Cats.” In this thesis, already many of his later ideas and philosophies are presented: (1) The hypothesis that the caudate putamen complex is more than just a “motor control” centre; (2) The idea that neurotransmitters, especially dopamine and serotonin, interact within the basal ganglia; (3) The fact that this interaction may differ for various subregions of the caudate nucleus and (4) The notion that brain regions have a more integrative programming function. Following his PhD, many of these themes dominated Lex’s research interest and endeavours. Together with van Rossum—which he considered along with Dutch ethologist Adriaan Kortlandt as his scientific mentor—he was the first to propose the existence of multiple types of dopamine receptors (Cools and Van Rossum 1976), naming them DAe and DAi, based on findings in snails that dopamine could both excite or inhibit cell firing (Boudier et al. 1974). Perhaps more characteristic for Lex than being the first to propose multiple dopamine receptors was the fact that his theory was based on an integration of anatomical, electrophysiological and behavioural evidence from monkeys, rats, cats and snails. The lack of selective ligands for the DAe and DAi receptors severely hampered this research. However, subsequent research confirmed the existence of multiple dopamine receptors: first, the D1 and the D2 receptors [(Kebabian and Calne 1979), which happen to be predominantly excitatory and inhibitory, respectively] and, subsequently in the 1990s, using recombinant DNA cloning techniques, the further identification of the three additional receptors (termed D3 to D5). Lex was always fascinated by the integration of various neurotransmitter systems, especially among the monoamines dopamine, serotonin and noradrenaline. An interesting extension of the DAe/DAi concept was the concept that DAe and DAi receptors are actually linked to receptors for other neurotransmitters (Cools 1981). In particular, he proposed that the DAi receptor could be linked to a serotonin receptor, while the DAe receptor may be linked to an α-adrenoceptor. Although he did not pursue this hypothesis in great detail, the existence of receptor dimers or oligomers is now well established, both within one neurotransmitter, such as dopamine (Perreault et al. 2011), as well as between different neurotransmitter systems (Ferre et al. 2014; Fuxe et al. 2005; Wang et al. 2012). The interest in the functional interaction between neurotransmitters was first sparked by an early collaboration with Jørgen Scheel-Krüger (Scheel-Kruger et al. 1977), which led to a life-long friendship. He followed up on this in a series of experiments both in Nijmegen and in Göttingen, Germany, with his colleagues at the Max Planck Institute for Experimental Medicine with the aim of elucidating the interaction between dopamine, acetylcholine and GABA within the striato-nigro-collicular pathway (Cools et al. 1984a; Ellenbroek et al. 1985). In later years, he developed the theory that the interaction between dopamine and noradrenaline within the nucleus accumbens was important for the balance between amygdala and hippocampal input (Cools et al. 1991). In this book chapter, he also elaborated on another theory on receptor functioning, namely that receptors can exist in different conformations, depending on the synaptic levels of neurotransmitters (Cools et al. 1987): when extracellular levels of neurotransmitters are high, postsynaptic receptors are considered to be in an antagonistic state (i.e. making them less sensitive to the neurotransmitter), while low levels of neurotransmitters would change the conformation to an agonistic state (i.e. highly sensitive to the neurotransmitter). The idea that information is transformed while being transmitted from one brain region to the next was also a pivotal part of his theory of the function of dopamine. Already in a commentary (Cools 1987) on Neil Swerdlow and George Koob’s seminal paper on a unified theory of the cortico-striato-pallido-thalamic pathway in psychiatry (Swerdlow and Koob 1987), he emphasized the importance of feed-forward loops. Specifically, he referred to how information from the mesolimbic dopaminergic system is being fed forward to the nigrostriatal dopaminergic system. This concept has since been expanded upon especially by Trevor Robbins and Berry Everitt in the field of drug addiction (Everitt and Robbins 2005, 2013) and in a series of elegant studies this has been shown to occur when cocaine use becomes more and more compulsive (Willuhn et al. 2012). Lex, together with his long-time colleagues at Nihon University (where he also held a guest professorship) very recently published several papers emphasizing this feed-forward loop (Ikeda et al. 2013a, b). Lex had a life-long fascination for seeking the rules of order in the cerebral organization of behaviour, i.e. in seeking unifying principles of neuro-ethology. This brought him into contact with Ilan Golani, who shared with him a drive to discover the hidden programming rules of behaviour. In his seminal 1985 paper, he most clearly and explicitly discussed his theoretical position on brain and behaviour: brain processes and behavioural phenomena are part of a single entity, i.e. the mutual interaction between brain, behaviour and environment is viewed as an integrated system (Cools 1985). The cornerstone of this framework was the conceptual work done by William Powers on the integration of Psychology and Cybernetics (Powers 1978): Behaviour is the control of the input of the organism. He expanded on this by proposing that the brain was a series of integrated non-linear feedback systems with higher brain centres having more degrees of freedom than lower centres (Cools 1985). He often used the striato-nigro-collicular pathway to illustrate the principle that each subsequent structure in the chain would not transmit previous information but add something to it, so as to transform it into a new command which would then be relayed to the next station (Cools et al. 1983). For many years, he had an extremely complicated picture illustrating this non-linear hierarchy of feedback systems in his office, which reminded us of a Mondriaan painting. Next to his work on dopamine, Lex’s research on individual differences is probably best known among his colleagues. 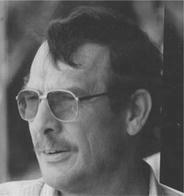 Already in the early 1980s, he was fascinated by the finding that within a single population of seemingly homogeneous rats, individual animals could show vast differences in sensitivity to drugs. Using the apomorphine-induced stereotyped gnawing response, we set out to develop selection lines of animals with a very high susceptibility (APO-SUS) and a very low susceptibility (APO-UNSUS). However, in a typical “Lex” manner, he put the implications of this research in a much broader context beyond individual differences in dopaminergic sensitivity. Accordingly, the original paper (Cools et al. 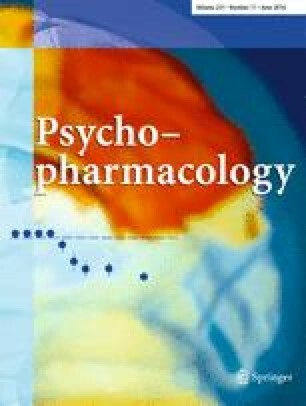 1990) was followed by several papers on the relevance of the APO-SUS/UNSUS dichotomy for schizophrenia (Ellenbroek and Cools 2002) and drug addiction (Ellenbroek et al. 2005). In these papers, he also specifically focussed on the concept of gene * environment interactions, showing that although both APO-SUS and APO-UNSUS rats are sensitive to environmental stimuli, the functional consequence depends on the nature and timing of the environmental stimulus. Again, this is a concept that is gaining widespread support in current (preclinical and clinical) literature. He also used the concept of individual differences to illustrate how various presynaptic dopamine pools play a crucial role in the individual-specific behavioural and neurochemical responses to environmental and pharmacological challenges (Verheij and Cools 2008). Lex was not only an exceptional scientist, but he was also an inspiring mentor. He supervised a very large number of Master and PhD students, many of them have become excellent scientists either in academia or in industry. Perhaps most illustrative of his approach was that his office door was always open, and he would always welcome people coming in for a casual chat, which more often than not led to a deep discussion on some general aspects of behavioural neuroscience. He loved to participate in philosophical debates on how the brain works, and he always emphasized that one should look at more global pictures, and not get too deeply interested in one small aspect. In this respect, he was more a generalist than a specialist, and he also urged his students to develop “a helicopter view.” For that reason, he also worked with a number of different species: snails, rats, cats and monkeys. He often joked that “if you work with only one species, you’ll end up looking like it.” In addition, he was always very focussed on the possible clinical application of animal research, long before “translational medicine” was considered as relevant as it is today. Based on his work with rats and monkeys on the programming rules of the striatum, he was among the first to apply these principles directly to patients with Parkinson´s disease. Together with neurologist Martin Horstink and neuropsychologists Hans Berger and Karel van Spaendonck from the Nijmegen Academic Hospital, Lex showed that rigidity in Parkinson patients was not limited to the motor system, but also present in the cognitive domain, i.e. patients had deficits in switching behaviour, which they referred to as a deficit in shifting aptitude (Cools et al. 1984b). He was particularly proud that his daughter provided elegant evidence in support of this concept (Cools et al. 2001). However, he also looked for practical applications of his work which brought him into contact with the physiotherapist Gerard Worm, and together they develop practical applications to improve the quality of life of Parkinson patients. His love for the field also led to the initial discussions with, among others, Ian Stolerman and Francis Colpaert about the decline in interest for Behavioural Pharmacology in the early 1980s, culminating in the formation of the European Behavioural Pharmacology Society (EBPS) in 1986. He served as president of the EBPS from 1988–1990 and, together with many dedicated colleagues, made the society into a very strong and striving community. He often praised the quality of the meetings and was particularly pleased about the large number of young scientists that joined each time. As such it was perhaps symbolic that he passed away at the start of the 15th biennial meeting in La Rochelle. In his long career, Lex received many awards from, among others, the Dutch Neurological Society, the Japanese Society of Psychopharmacology and the Tokyo Medical College. However, the Distinguished Achievement Award of the EBPS in 2003 was probably most dear to his heart. Although Lex officially retired in 2006 and actually decided to slow down (a little), he regularly kept visiting the university and scientific meetings. He was also very concerned about the future of experimental animal research, eagerly criticizing organizations that, in his opinion, prevented or delayed scientific progress. We, his “scientific” family and friends, will miss his creativity and never-ending enthusiasm very much. Our thoughts go out particularly to his wife Marijke and his children Roshan, Jaro and Iris. We would like to end this obituary with a last quote from Lex on his Sanctuary Card. Looking back on his life, he said: “It tasted well.” Having had the privilege to work with him, we couldn’t agree more.